Java Generics, While developing a collection , if one wants to store homogeneous element where the element type should be same as the element that are added to the collection then generics is used. Type casting is not required in generics. Developer can hold a single type of objects in generics. Generics helps us to store any user defined types in a collections. Elements are stored in generic type and retrieved in a generic types. All generics method declarations have a type parameter section delimited by angle brackets (). Before generics, developer used to type cast as follows. After Generics, don’t need to typecast the object. Java Generics, by using the ArrayList class following is an example, but one can use any collection class such as ArrayList, LinkedList, HashSet. To know more about arrays click here . A class that can refer to any type is known as generic class. Following is an example using T type parameter to create the generic class of specific type. Where T type indicates that it can refer to any type like String, int. The developer can create generic method that can accept any type of argument. Following is an example to print array of elements. Here the developer used E to denote the element. When compile the code following is the result will be displayed. Where first integer array, second character array will be displayed. 1)Its not a class or interface,so its unfair to compare it with interfaces,comparisons are done between two things that share some common properties. 2)is actually a concept with which you can restrict the type of element you want to add into collection. There is not compile time check for the type of elements being added into collection. 3)While accessing the elements you need to write many typecasting code with if-else condition to process the data.This is a very big problem with java2 collections. 4)To resolve this problem Java vendor has added the concept of Generics in Java 5. 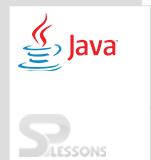 Java Generics are utilized to create generic classes and generic methods. No need to use type casting while working with Java Generics classes.